Engstrom, Lipscomb & Lack represents groups of individual homeowners, homeowners associations and commercial owners in complex construction defect matters. Our construction defect litigation attorneys have extensive trial experience in courts throughout California in cases involving faulty materials and all other facets of the design and build process. Our firm has earned an excellent reputation as a leader in the representation of homeowners in landslide and other matters relating to land subsidence. We handle construction defect litigation cases on a contingency basis and offer free consultations. If you are faced with a construction defect dispute, contact us to schedule a consultation. Our construction litigation division includes leading experts in the construction industry who can efficiently evaluate the condition of a building, whether it is residential, commercial or industrial. In addition to our legal staff, we employ construction professionals who perform state-of-the-art analysis, whether it is the evaluation of a roof structure or the geophysical properties of the soil several hundred feet below the building pad. The combination of these experts and the firm s seasoned trial lawyers make it a formidable opponent to even the largest construction companies and their insurance defense attorneys. We handle the most complex construction defect litigation cases. We are proud of our record of success in many of the most complex construction defect cases in California. 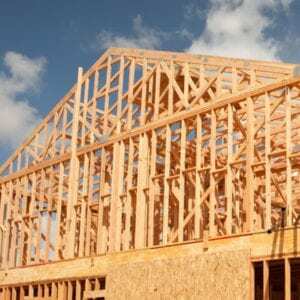 For example, the firm represented several homeowners and a homeowner s association against a developer and a large public entity in what was touted as the most complex construction defect case in Orange County history. The litigation concerned an active landslide that affected two residential developments. We were presented with not only the litigation component presented by the landslide, but also the fact that the landslide was active and was predicted to suffer a catastrophic failure. As such, our team had to fashion a solution that preserved our clients rights but also repaired the hillside to prevent a catastrophic failure. Working in conjunction with engineers, developers and surrounding governmental agencies, we were able to negotiate a multimillion dollar interim settlement with certain defendants that permitted the hillside to be repaired while preserving claims against the responsible public entity. We proceeded to a trial which spanned five months and two separate juries. Both juries found in favor of our clients, which resulted in one of the largest verdicts in the State of California in 2002, as reported by the National Law Journal. Although the offending public entity appealed the matter to the California Court of Appeals and the California Supreme Court, we were able to successfully preserve the verdict. We take on the cases that other litigation firms won't handle. Engstrom, Lipscomb & Lack also respects the need to handle cases with difficult legal theories. In one case, we represented 64 homeowners in a residential tract in San Bernardino County. Ten years after the homes were completed, the tract, which had been constructed in three different phases by different contractors and soil professionals, experienced hydro-consolidation of the soil and various other architectural defects. Although the developer filed for bankruptcy and changed its corporate structure several times, our construction defect team was able to resolve the litigation for over $13 million on behalf of our clients.